Are you looking for a creative website? We provides responsive & top quality websites which fit to your business needs. For FREE Consultation & Quote Call Now! Tomsher is a premium web design company in Dubai offers complete web design Dubai and web development solutions. We are leading Dubai Web design company offers top quality website design solutions and best web design services for companies in UAE. Tomsher is a Dubai-based web design & development agency provides custom website design and web development services across Dubai, Abu Dhabi, Sharjah & Ajman. Our web development team includes creative web designers and expert web developers with more than 15+ working experience. We are most trusted web design and web development agency in Dubai UAE, offering quality website design services. We are a passionate group of experienced web design team based in Dubai and develop world class responsive website design services with advanced technologies. We offer affordable services of website development, custom web application development, ecommerce website design in UAE. Web Designing Dubai - Tomsher is a leading Web design company in Dubai provides you the customized, modern and cost effective websites in Dubai. Tomsher creates your brand identity, Logo design, brochure design and framework for your brand significance and value. PPC, AdWords, SEO, SMS Marketing - Digital marketing is the fastest, cheapest and most effective way to reach your target customers. In Dubai Mobile Apps | Web Apps are inevitable for all business and Tomsher developing various online applications. A well thought out and well designed Social Media Marketing can take your products and services to innumerable number of customers across the globe. We have well defined procedures and methodologies for providing quality support and website maintenance in an efficient and timely manner. Tomsher is top #1 IT Company in Dubai also Software Company in Dubai offers affordable and quality website design services in Dubai. Tomsher is fully in-house Web Design Company in Dubai and 0% outsourcing policy. Leading Dubai Web design company offers end-to-end quality website design & development solutions. As one of the top web development firm in Dubai, we will make sure that all of our websites convey the exact meaning of the corporate brand. The modern web design companies in dubai following responsive web design, which means the websites are compatible with all the devices and browsers. We have two web design offices in Dubai (WAFI Business Center & Dubai South DWC Freezone). Tomsher, Dubai web design and web development company, design professional websites to the highest standards and is ranked 5 out of 5 by its customers reviews. Ranked top web development company in Dubai based on client reviews. We believe aesthetics is important in designing websites and so far are considered a expert web design team in Dubai, UAE. We are focused on designs corporate website, custom web design and dynamic web design in Dubai. We have been in business since 2007 creating stunning web design & web development. We are one of the best web solution provider in Dubai and developed websites for more than 400 companies in UAE. As a premium website design company in Dubai, our expert team developing static websites, responsive web design sites, ecommerce website, WordPress website designs, CMS websites, B2B websites and B2C Website in Dubai, UAE. We are among the best web design companies in Dubai and professional IT company providing services in Dubai marina, JLT, Business bay and all over UAE. Tomsher is a digital marketing and best web design company in Dubai. We are a leading web design agency in Dubai offers trendy web design & web development, website redesign, creative logo designs, web & mobile apps, travel portal and online marketing services. Our Web Solution Research Centre, born out of the endless passion of a group of web solution professionals (web developers in Dubai , web designers in Dubai , certified digital marketing team). As a top web design Dubai company, we develop websites in different platforms. Our creative web designers in Dubai, design eye catching, customized and responsive web design. Also, our professional web developers adding new technological features to website design. Redesign your existing websites with modern designs. We are Dubai based web design company and our in-house team providing professional web designs in Dubai. Our web design stages typically involve moving the information, outlined in the planning stage further into reality. Web design steps are scope of work, wireframe, layout design, coding, testing and website delivery. We carve perfect web design with ultra-modern responsive website. Also, providing high quality web design as well as customized website design in Dubai. We are the top Web design Dubai team, offers web design Dubai , website development Dubai, website redesign, ecommerce website, creative logo designs, web & mobile apps, travel portal and online marketing services. All our web design is high quality as well as custom oriented website design in Dubai. We are able to create stunning web designs in multiple platforms. Tomsher is a creative web design company in Dubai with top marks for impressive web designers in Dubai. We are a young and creative team of web designers in Dubai. No other, web design companies in Dubai offers employee integration with clients in all the stages of website design. Our Dubai team, web developers and web designers meet of our clients for collecting their requirements. Our professional Dubai web developers and Dubai web designers are up-to-date and doing a market research before starting each website designs. Our experience web designers can easy design all the requirements and covert this into custom website design. 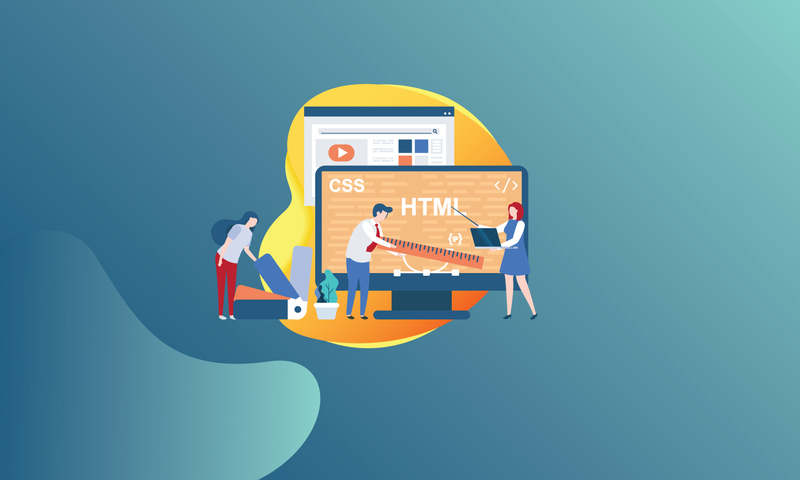 Choose Tomsher Technologies when it comes to the best and most professional web design Dubai agency as well as creative web designers in Dubai. We are trusted web design company and our in-house team providing tailored web design Dubai and web development Dubai. Our web design stages typically involve moving the information, outlined in the planning stage further into reality. Web design steps are scope of work, wireframe, layout design, coding, testing and website delivery. We carve perfect web design with ultra-modern responsive website. Also, providing high quality web design as well as innovative website design in Dubai. A professional web design agency, we focus on quality, time and creativity. We specialize in providing affordable, high quality and responsive web design in Dubai, user-friendly and professional website design services. Website design company in Dubai, we focus in all aspects of web design, website development and latest web design trends. Web design agency, our team of web designers and web developers, perform customer oriented website development and develop your company website design and marketing aspects. Web Designing Dubai - web design company in Dubai - website design Dubai - web designers Dubai. We are a group of creative web designers in Dubai and design remarkable web design in Dubai. No other web design companies in Dubai offers designer and developer integration with clients in all the stages of web design. Our web designers meet of our clients for collecting their requirements. Our web designers and web developers are up-to-date and doing a study before starting each web design. Our web designers in Dubai can easy design your requirements and offering custom web design Dubai. Top web development companies in Dubai ranked based on client reviews and skills. Choose Tomsher the best and most expert web design company Dubai as well as creative web designers Dubai.